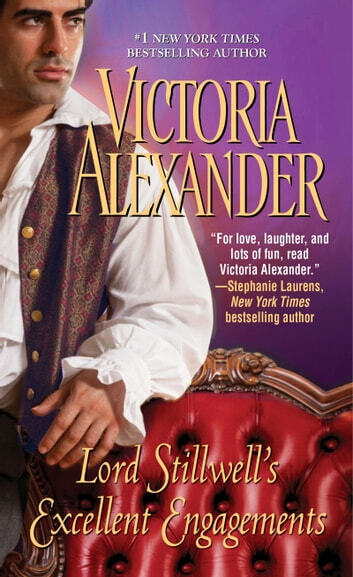 In an enchanting novella from #1 New York Times bestselling author Victoria Alexander, eligible viscount Winfield Elliott searches for a bride and discovers that love may be lovelier the second--or even third--time around. . . Some say I do not take my engagements seriously. Nonsense. What man with no interest in marriage would find himself proposing not once, but three times? And each time, I've felt certain that this, at last, is the absolutely, positively, perfect woman. Miss Felicia Whitingdon, for instance, has youth, beauty, style, grace--and a handsome fortune. Lady Lucille Eustice is a widow of impeccable social standing, and a balm to my soul. Then there is Miss Caroline Hibbitt, sweet and charming in every way. Any one of these intoxicating treasures could make a man happy. Any one of them could be an ideal wife. But which--if any of them--will it be?